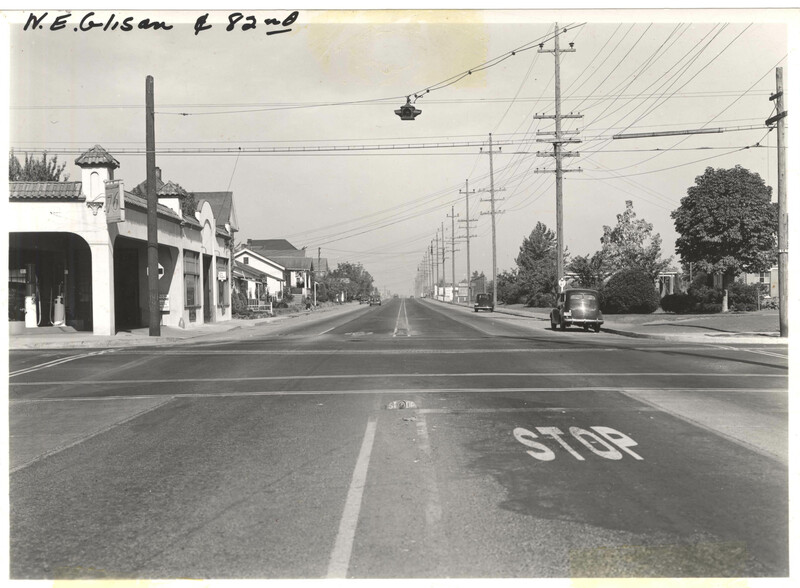 Traffic was not much of an issue along NE 82nd Avenue at Glisan Street in 1939. Those days are long gone, along with probably everything we see in this photo. 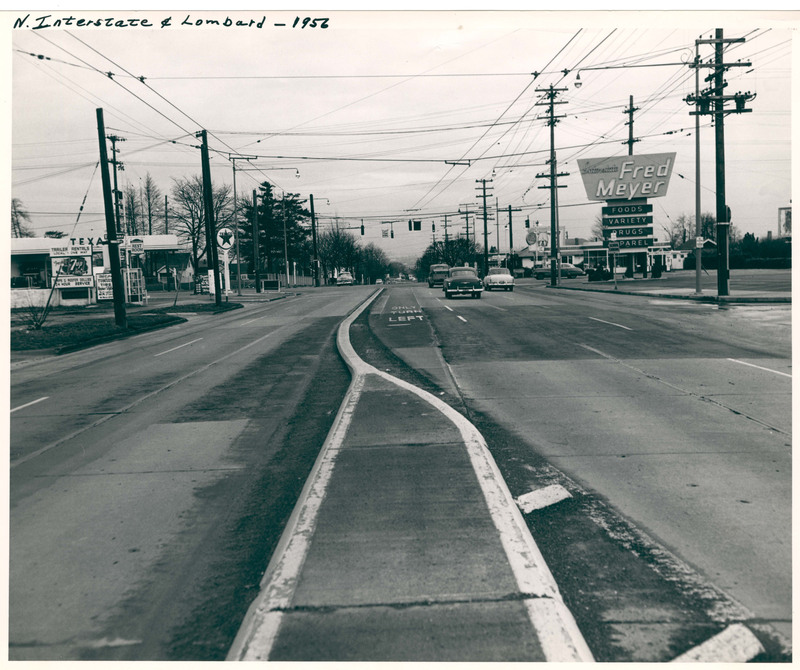 Today we look south on SE 39th Avenue where it crosses Powell Blvd. We saw this intersection looking east in an earlier post. 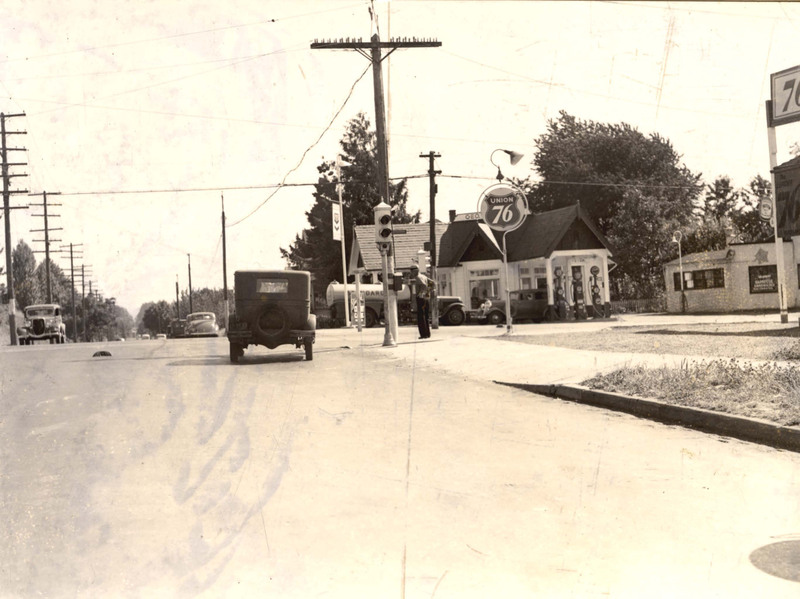 The 1935 photo showed a Signal gas station on the northeast corner; this would put a service station on at least three of the corners. Very competitive! 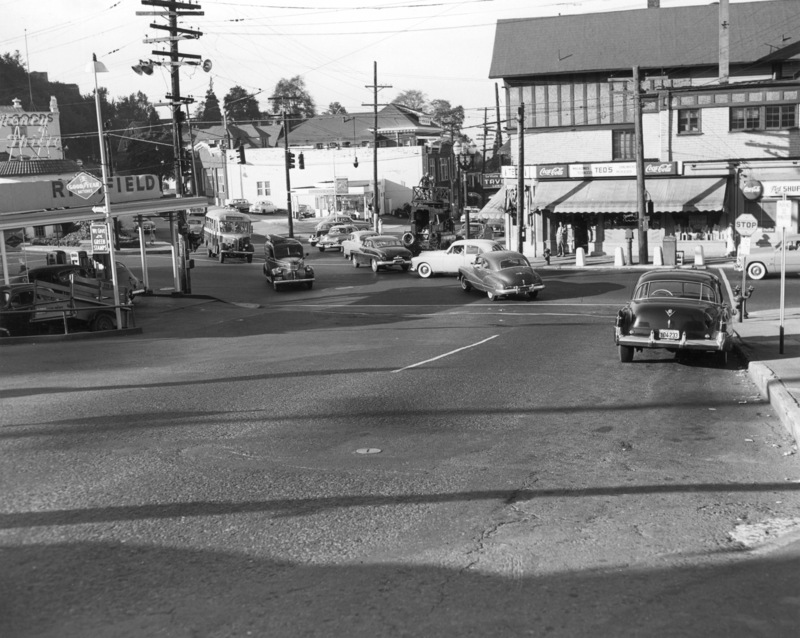 The Fred Meyer store and two gas stations still anchor corners at the intersection of N. Interstate and Lombard Street as they did in 1956, but the photographer whould now be standing in the middle of the Max tracks headed toward the Expo Center. 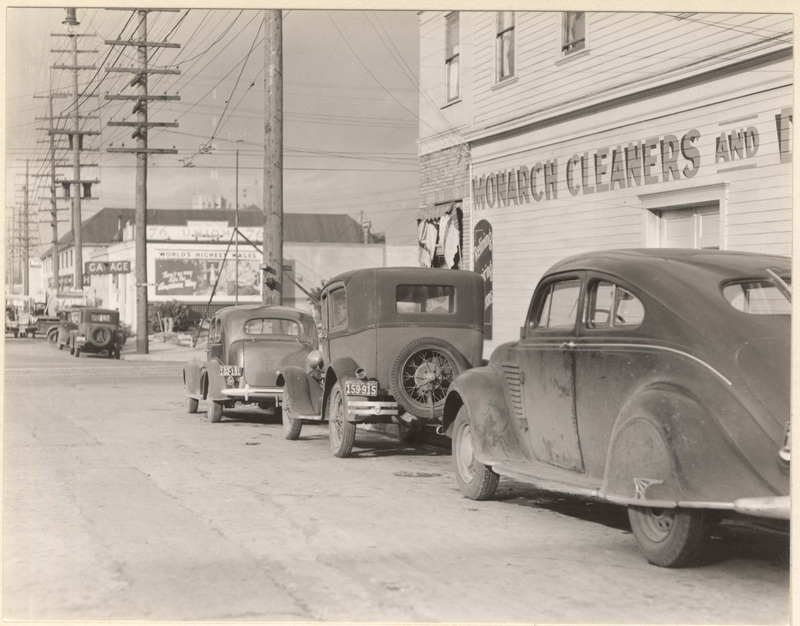 Today’s mystery location offers few clues to its location although sharp-eyed fans will spot a couple of buildings in this 1937 photo that still stand. Extra points for identifying the snazzy, aerodynamic car closest to the camera. Happy hunting! A final look at the NW 23rd and West Burnside intersection, this time from Vista Avenue looking north. We see the old Henry Thiele Restaurant to the far left (now site of the Cost Plus World Market) and the Packard Building in the distant center. This photo is from 1952, a year earlier than the previous two.